Is that Bronze Age pin really the first ever safety pin? What did Stone Age man eat for lunch? 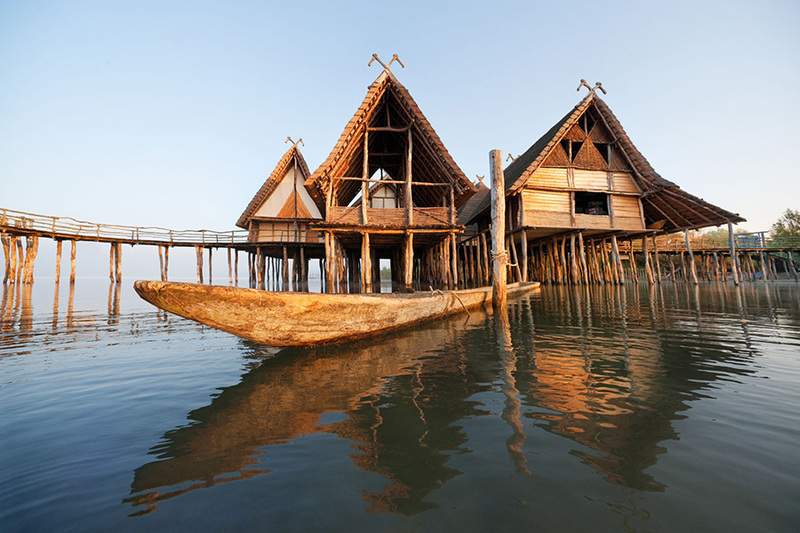 And why were whole settlements built on wooden stilts? You’ll find the answer to these and other questions when you visit the Lake Dwelling Museum in Unteruhldingen. A walk over the wooden bridges and through the thatched mud-built houses of the Lake Dwelling Museum quickly turns into a journey back in time. On display are exhibits from the Stone and Bronze Ages that date back to 4000 to 800 BC. 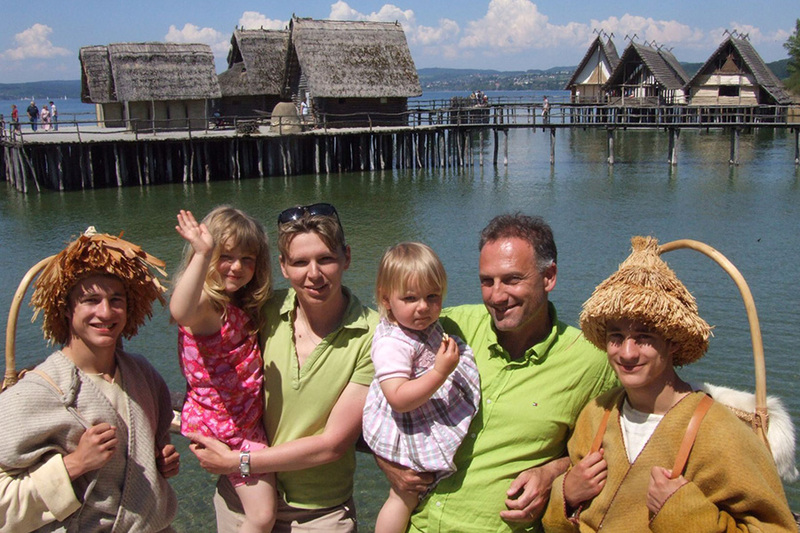 The reconstructed scenes from the Neolithic period show what life would have been like for farmers, fishermen and graziers living in a small settlement on the shores of Lake Constance. 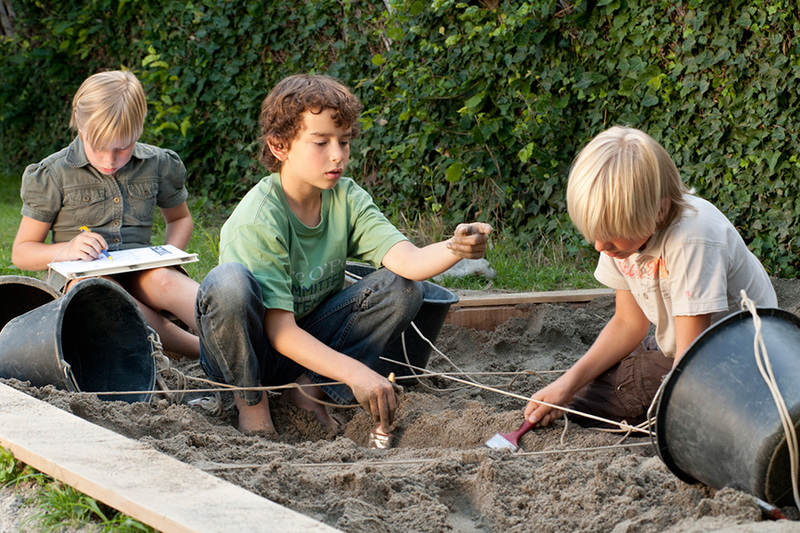 The reconstruction of daily life in Unteruhldingen during the Bronze Age shows that, even 3,000 years ago, there were differences between rich and poor. The historical treasures in this open-air museum are very special, not only for their sheer variety but also for the way they have been so well preserved for thousands of years. The fact that they were underwater means that many organic materials and 5,000-year-old wooden and metal artefacts have been preserved without decomposing. This means that visitors to the museum can admire scraps of cloth and netting, bread, apples and even some ancient burnt porridge! And talking of admiring – the technology these ancient people employed to build their houses over the water is very impressive, even by modern standards. So it’s no surprise that the 111 “Prehistoric pile dwellings around the Alps” in Germany, Austria, France, Slovenia, Italy and Switzerland were added to the list of UNESCO World Heritage Sites in 2011, including the Unteruhldingen-Stollenwiesen dwellings that were discovered around 500 metres from where the museum stands today.